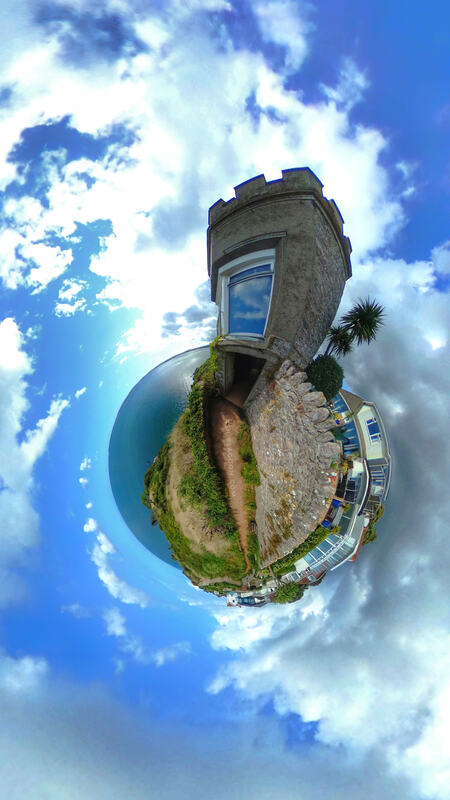 Take a walk along the Rock End path and you’ll come across Torquay’s coastal castle. If you walk the South West Coastal Path between Daddyhole Plain and Beacon Cove you’ll walk under this strange castle like building. You can’t get up inside the building itself as the entrance seems to be on private land, but i was intrigued by it and thought I’d find out what I could about it. It turns out it was originally a summerhouse, and part of the grounds of a grand house built in the 1840s. The house was later demolished in 1950. It’s a nice little stroll along a stone and earth coastal path running above a steep cliff. The views look out across the sea to Brixham and Paignton. This part of the coast is the Rock End Estate. This was originally a summerhouse, and was part of the grounds of a grand house built in the 1840s. The house was later demolished and the estate developed for housing in 1950. 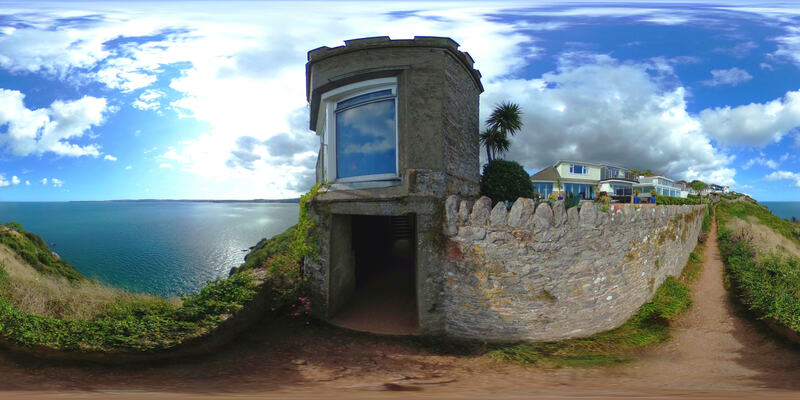 The coastal footpath takes you through the ‘basement’ of the 1840s castellated folly. A folly is a building constructed primarily for decoration and pleasure. Casual walk admiring the views. There are No facilities on the path, you will have to walk to nearby Living Coasts, Harvester or Meadfoot Beach Cafe. The folly can be reached via the South West Coastal path between Daddyhole Plain and Peaked Tor Cove. Easiest access is from Daddyhole, short walk with only a few steps. Coming from Peaked Tor will take a little longer and there are a few sections with steps, but nothing to strenuous. Walk, you have no choice but to walk here. Car, nearest parking is at Daddyhole Plain or Beacon Quay Pay and Display Car Park. Parking is available at nearby Daddyhole Plain. From here it’s just a short walk on the coastal path. There are No facilities, you will have to walk to nearby Living Coasts or Harvester.